"I often just sit and listen to him," says Q-Tip, "because he teaches truth. He's my mentor." In the 4 years since I've discovered Weldon Irvine (and most of the jazz music I have), I have found it strange to find how relatively unknown this man is outside of the hip hop world (and still not even known THAT well there). If we're talking strictly stream of influence, Weldon Irvine has to be among the jazz greats like Miles and Coltrane and Sun Ra. His soulful electric piano-based albums have been sampled by hip hop heavyweights for years and yet, he is still looked at as a legend. 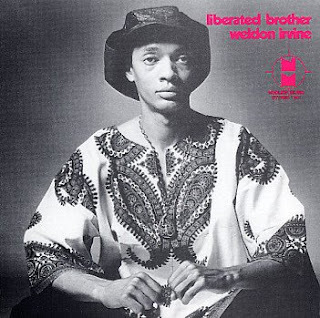 Liberated Brother is Weldon's first album as a band leader and though it lacks the funk and experimentalism of some of his later albums, what we have here is something so incredibly beautiful and smooth. Throughout the album Weldon takes us on a journey through many different sounds. Whether a slow grooving, meditative piece, or a latin-influenced sound, Irvine does everything to near perfection. When we get to "Juggah Buggah" we get to hear some fusion and funk sounds, and gives an indication where Weldon's music is headed. Weldon's music is spiritual in imagery, and would become so later in life as well. He was deeply involved with African-American politics and looked at as a mentor for many of hip hop's biggest names. Weldon is a legend and it is time to take notice.